Task week - day "8"? or maybe this is the day to set an AAT? 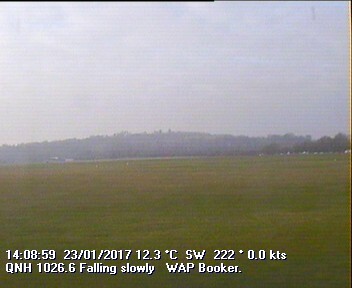 Booker Bridge (BOB) - Edgehill (EDG) - Oxford East (OXF) - Membury (MEM) - Booker Airfield (BOO) - 199km. There was some limited high level Cu around interspersed with quite a few blue gaps which made the task 'interesting' when combined with the 12kt crosswind. However everyone who started easliy rose to the challenge and successfully completed the task. I think at least one pundit extended beyond Membury and continued down to Marlborough and back (ah, the delights of bigger wings). 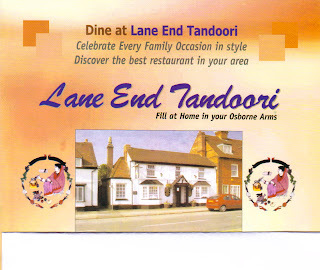 Our local Lane End Tandoori just gets better and better, I just don’t know how they do it! After a little drink at the bar we settled down to an absolutely splendid meal…must do this more often. Struggled to get past Oxford whilst everyone else seemed to be racing past Enstone. Then they all seemed to dissapear. Eventually got to Lower Clopton having achieved 33kph. Then I got the hang of it and managed 100kph round the last 3 legs. Eventually conditions didn't improve and everybody stayed local. With briefing over the grid is ready. What a great day! Maybe the Met Office is right about it being a good summer this year. Lots of flying today, and a handful of achievements to report: John Portwin and Simon Phelps made it to Enstone for their Silver Distance, Alex Chalmers and Yan Clave completed their cross-country endorsement, and Ben Crook did his first 300k. He'll have to do it again though, since apparently his logger didn't work, but well done anyway.